Stallion’s new shoes have arrived. There is still quite a bit of life left in his current shoes. But since it takes such a long time to import tyres in India, I figured that I would place my order way in advance to avoid needing to ride the motorcycle using worn out tyres. For this next set I have decided to stick with the Metzeler Tourance Next for the front, but switch to a Continental TKC 70 for the rear. The Tourance Next is a 90/10 tyre (90% road and 10% off-road) and is excellent for riding on tarmac. The tyre hugs the tarmac pretty tightly and I can lean the big and heavy adventure motorcycle into corners quite confidently. However, being a 90/10 tyre, it’s not very good in the dirt. While riding trails, I’ve noticed that the off-road traction control kicks in pretty soon in order to prevent slip caused due to the low traction that the tyre’s tread pattern provides. I didn’t want to go all out and use a 40/60 tyre for the rear because most of my riding is on tarmac. That’s why I picked the TKC 70 which is a 60/40 tyre designed for light to medium off-road use. 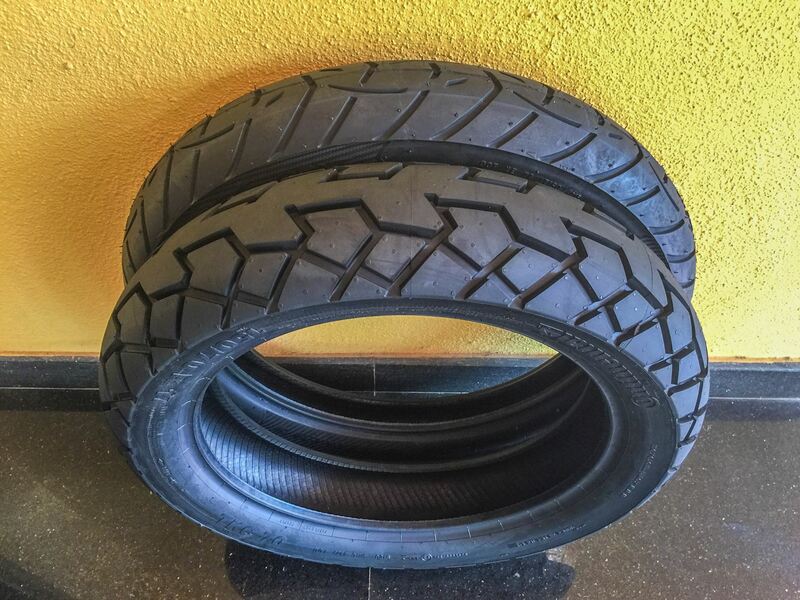 Unlike the Tourance Next, the TKC 70 isn’t a dual compound tyre, where the center is made up of a hard compound for longer life and the shoulders are softer for better grip while cornering. However, Continental claims to achieve the same result using a single compound by controlling the temperature while curing the rubber during the manufacturing process. I’m hoping that this combination of 90/10 in the front and 60/40 in the rear will allow me to ride Stallion like I used to using the 90/10 tyres but also enhance the motorcycle’s off-road capabilities as well.